It’s the perfect side to your holiday meat main. This noodle kugel — a classic Hanukkah recipe — is as easy to make as they come, but we bet it will be talked about over collective “mmm’s!” and “ahh’s”. Expect: “Is that a hint of vanilla I taste?” Debi Traub, founder of Simply Beautiful Eating, uses spy apples and dried cherries for this delicious side dish, and skips the dairy, making it perfect for your holiday meal. 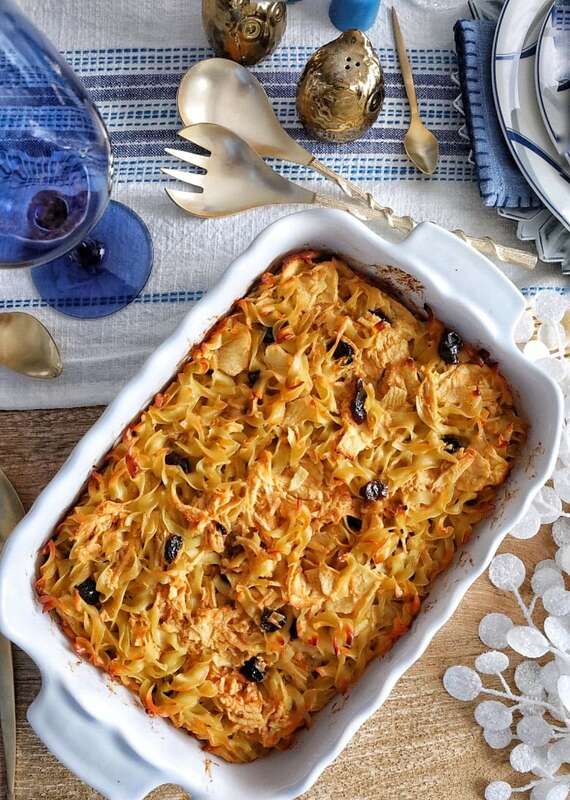 Noodle kugel is a traditional Jewish recipe served for dessert or as a side dish. Although it's usually made with cottage cheese, this recipe is perfect for serving with meat and contains no dairy. Boil noodles according to package directions, drain and set aside. Preheat oven to 350F degrees. Place two tablespoons of oil into a 9 x 13 glass or oven safe baking dish and place dish into the oven. Mix cooked noodles with eggs, apples, both sugars, dried cherries, salt and the remaining oil. Carefully pour noodle mixture into hot baking dish. Bake for 45 to 50 minutes, or until brown and crunchy on top. Serve warm. Debi Traub is the founder of Simply Beautiful Eating. Follow her at @simplybeautifuleating. Your Hanukkah holiday dinner menu is here!